What is a thumb brace, really? What do you use it for? And how to do you use it? The first two questions are easy. 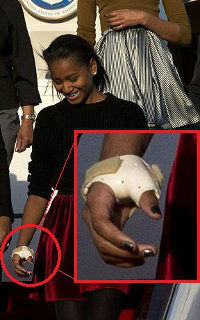 Thumb brace is basically a device used to limit the movement of your thumb (just like an arm brace or leg brace). It is an orthopedics treatment for thumb injuries that require long period of immobility for recovery. In such cases, the thumb (which normally can move 360 degrees) must be braced to prevent further strain and promote recovery. How you use a thumb brace depends on several factors, such as how long you need to wear it, the level of rigidness (or flexbility) required and the amount of support required. Most commonly, a thumb brace wraps around your thumb and covers your wrist for support. There are also some ‘mini’ thumb braces that cover only the lower part of your palm for support, in order to provide more movement flexibility. Most of the time, a thumb brace can be put on like a glove, sometimes with additional straps or buttons for better grip. Your doctor may put on a custom thumb brace which is basically made of plaster into a cast. This type of thumb brace is really an orthopedic cast, just like neck or leg casts. Since it is a one-time use only brace, you will usually break or tear off the thumb brace after recovery. This entry was posted in thumb brace. Bookmark the permalink.